Sew Dixie Lou. : Drink up folks! There's a new pattern company in town. Drink up folks! There's a new pattern company in town. It's been a while since I last blogged because I've been so busy attending the amazing Minerva Meet Up weekend extravaganza, as well as visiting family and friends in Canada. 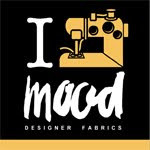 But, I'm back and ready to get sewing and blogging. I have some lovely makes to show you over the next couple of days, but first I want to share some exciting news about a brand new Indie Pattern company that has just launched. Welcome Capital Chic Patterns! I love this pattern line, not only because it's been designed and created by my lovely friend Sally from Charity Shop Chic, but also because I genuinely feel that Capital Chic Patterns is offering something different and unique to the plethora of sewing patterns now available to the home sewer. Focused on work wear and cocktail wear, Capital Chic Patterns make for perfect day-to-night outfits. There is also great versatility to adapt the patterns for a sleek girl-about-town weekend look - of course stopping for a little champagne brunch along the way. Named after cocktails, each of the PDF patterns comes with two variations included. Above, is the Cosmopolitan dress which can be made in either a blouse or dress, and features a gorgeous lace appliqué trim above the bust. The White Russian sweater below is also super cool; it comes with a selection of motifs (lion version in picture) that can be quilted onto the sweatshirt - sign me up! The patterns’ difficulty ranges from intermediate to advanced, perfect for those looking to move on from sewing beginner styles. Available now for digital download from www.capitalchicpatterns.com as print-at-home and print-at-copyshop PDF files, the patterns currently come in five sizes, from UK 10 to UK 18, and are nested for easy blending between sizes. A wider size range may be available later in the year, depending on demand. They are also very affordable ranging from £8-10. I have already made up a very special dress from the range, the Martini, but I'll save all the details for that post. Let me just say though, it's a hottie! I know Sally has worked extremely hard on creating this amazing debut and I would like to wish her all the luck in the world. Get over to Capital Chic Patterns now and grab yourself a little something special - the cocktails are waiting!